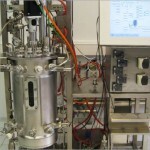 Integrated automatic sampling system bioPROBE for the atline-integration of further analytical devices – the real PAT! xCUBIO adapts to your biotechnological process – and not the reverse! 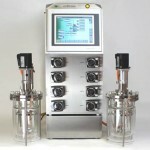 We have developed fundamental concepts to be basis of your bioreactor or fermenter with optimal setup. The five standard biosystems cover most of all biotechnological cultivation processes from all biotech sectors. You select the basic package to specify the further technical equipment or we develop the best-adapted concept together with you. Within shortest time, you receive a quotation with interesting options for your final decision. One single vessel with maximal equipment! 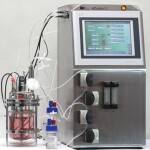 Customize the selection: simple systems for aerobic bacteria cultivation can easily be modified for high cell density processes. 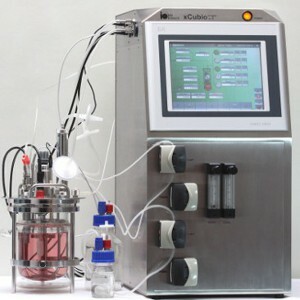 Even highly sophisticated and completely equipped perfusion systems for mammal cell culture are realized with xCUBIO single. The first scale process within just one single installation! Cultivate in absolutely parallel conditions or scale your process by the factor 1:20 – all in one system. Variable vessels and equipment selections access all opportunities. R&D-Cultivation in up to 12 parallel vessels! Start your installation with the first two vessels and continue step by step – simply by Ethernet plug-in installation. Realize a really compact installation with complete and exactly customized equipment selection! CIP/SIP-technology for high-end applications! Wherever purity and reliable sterility are urgently required or the system scale requires cleaning on site. Fully automated sequences, semi-automatic design or integration into upstream cascades: it is your decision. 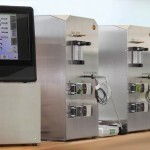 The economic upgrade of existing bioreactors and fermenters from every type and manufacturer! Protect your investments with a plug-in-compatible refurbishment, if your installations get aged or damaged. Exact system rebuilt and technology integration included! 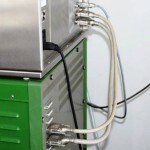 The selection and amount of automatically fed gasses and liquids is as variable as the specifications of the online sensor installations within the bioreactor or fermenter vessel. One single xCUBIO can be modified from the research operation of a cultivation vessel at lab scale up to the requirements of a scaled production installation with several cubic meters operating volume. The possible xCUBIO bioreactor and fermenter applications are almost unlimited. xCUBIO perfectly adapts to your personal application!